I hooked up Ooma with the supplied splitter out the phone port, one side connected to the wall the other to the phone. For 1 day, I was able to pick up the tone from a 2nd room (only 2 phone outlets in this house), on the 2nd day I could not get a solid tone in the other room. Any ideas on what happened? Also, now if I split it out from phone, 1 to wall and 1 to phone, the phone doesn't work. It now only works if I have the phone hooked up by itself to the phone port? I was very happy the first day and am now very frustrated. Almost sounds like you didn't disconnect the line coming in from the street? This little bit of current could have "fried" something? Maybe the splitter? Or it could be that the splitter failed? Forgot to mention, its a new house and hasn't been connected to the street yet. And the splitter works when instead of connecting it to the wall outlet and phone, I connect it to a tivo and phone. Tivo doesn't have a problem dialing out at all and the phone connected to it sounds great on both ends. It is just when I connect it to the wall outlet that there is a problem. Is there a Network Interface Device (NID) installed on the outside wall of the house? 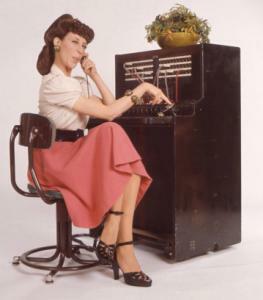 Just because you haven't contracted for phone service doesn't mean there isn't a hot line coming into the house. Go to the NID and disconnect the the external wiring. So I got the ooma tone into the second room using the phone out jack on Ooma. I had thought it was the little transformer thing in the crawlspace, but that was the doorbell/intercom. Could that cause interference? Cause Ooma was working wonderfully in the other room for the last two weeks until today, it lost the tone in the second room. Thoughts?